Paw Patrol is a fantastic kids’ television show in the U.S. geared for pre-schoolers but loved by young and older children alike. This energetic programme is about a group of daring pups who are out to solve the crime and use their courage to save the day! The setting for the stories is a fictional and fun city called Adventure Bay, where a team of daring dogs, bonded together by friendship, strive to solve problems. This squad of brave puppies teach kids about life and strive to lead by example by doing the right thing. Now you can buy Paw Patrol toys for your child and watch them delight as they bring the stories of the television programme to life. At Mr Toys, we offer a host of toys for kids, adult and hobby enthusiasts and ship all over Australia. Our products are top quality and easy to order using our online store or by visiting one of our local Australian retail shops. When there is a lot at stake, you can count on the dedication of the Paw Patrol team. These frisky puppies love to embark on adventures and rescue friends from danger and strife. Using their unique and unusual transforming vehicles, they can foil any crime right before your eyes. 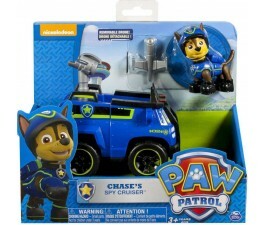 Boys and girls of all ages adore the Paw Patrol toys online. We also carry a large assortment of plush puppies, Paw Patrol transforming vehicles and more. When you buy Paw Patrol toys for your child, they will learn about friendship and problem solving while they wheel through the imaginary city of Adventure Bay. Relying on the wisdom of 10-year-old techno wiz Ryder and his band of loyal dog friends, kids delight in the merriment of Rocky, Zuma, Skye, Marshall and Chase. Watch as your child engages in the magical and fun world of Adventure Bay. What’s the best way to get a pet but never have to feed or walk the dog? It’s the Paw Patrol to the rescue in a living room near you! Buy the Paw Patrol toys online to enthral pre-schoolers and kids of all ages with their daring caper and friendly attitudes. These adorable pups set out on missions to rescue friends and solve everyday issues for those in peril. The puppies in the pack are Chase, Ruble, Zuma, Marshall and Skye and work as a team to solve problems using their trusty backpacks and rescue vehicles. 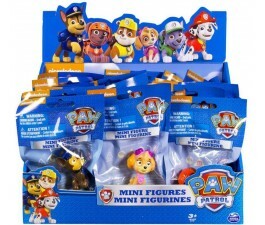 These Paw Patrol toys can be purchased online as a set, or individually. As one of the leading toy retailers, Mr Toys is proud to carry a wide variety of the most popular Paw Patrol toys. Why not collect all of the Paw Patrol toys such as the rescue vehicles, each with their unique colour and theme? Visit our 24-hour online store today and buy your Paw Patrol toys.